It’s very common for me to hear from people who have lost too much weight on the raw food diet and cannot gain it back. Desperate emails reach me, begging for help to put on a few pounds. Dear Tonya…I think raw food is great, but it isn’t for everyone. I tried raw and juicing for 6 weeks and lost way too much weight. And I was thin to begin with. My response… When people have trouble gaining weight on raw foods, one of the main reasons is their not being able to absorb certain nutrients required for optimal weight and health. In an ideal world, we should be able to exist just fine on the raw food diet. Example: Our bodies need lots of sunlight for proper Vitamin D. But, especially if you are older, you have a harder time manufacturing this hormone. If you live in a locale that doesn’t get a lot of sun—e.g. England, or the USA’s Pacific Northwest, Vitamin D can become an issue. Now that doesn’t mean that it will, just that it’s a possibility. Ditto Vitamin B12. Malabsorption often stands at the root of issues which have to do with inability to gain weight and with deficiencies such as in Vitamin D and Vitamin B12. In fact, B12 is vital for proper digestion and absorption in the first place. Given the proper conditions, our bodies should be able to manufacture such vitamins on their own. Changes in the gastrointestinal tract of people as they get older can significantly decrease intestinal function, as can medications or surgical procedures. Result: undernutrition or malnutrition. 100% Raw and 100% Vegan? Unlike Denise, I do believe the raw food diet is for everyone. 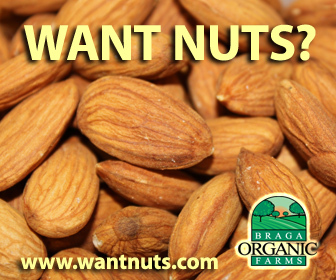 At the same time the many letters I receive convinced me: not everyone will succeed being 100 percent raw vegan. Here we must be careful not to throw out the proverbial baby with the bathwater. The reality is not everyone can absorb everything they need from raw plant food. This is true for a variety of reasons, and adjustments sometimes need to be made that can compensate for this, even if only temporarily, in order to be able to bring the body back up to a desirable, healthy weight. Simply eating more usually doesn’t work. In the end, it’s not about how many nutrients we consume—it’s about what we absorb. One food seems to address several aspects of being able to put on healthy weight: raw eggs. It was Susan Schenck, author of The Live Food Factor, a well respected leader in the raw food movement, who made me think differently about raw eggs as a solution for folks who need to gain weight. Since I wrote my first book I received many emails from people who added raw eggs to their diet and were able to follow the 100 percent raw food lifestyle successfully. If the need arises, you must get creative because your health is more important than any dogma. 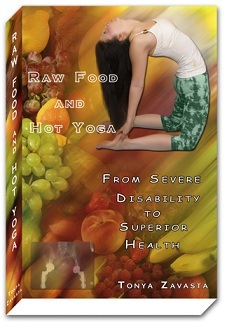 More about the benefits of eating raw eggs in my book Raw Food and Hot Yoga. Is Coffee Good for You? The More the Better? Thanks for showing me the Quantum Key.